Call 1-800-450-5319 or fill out the form for more information and a FREE quote on auto shipping to Kuwait through A1 Overseas International! 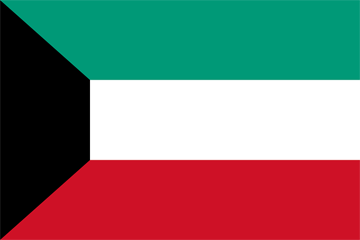 Shipping a vehicle from the United States to Kuwait is difficult for anyone without the proper tools, equipment, experience, and technicians. Contact an auto transport company at least a couple months before you need the vehicle there to book a date. Otherwise you may not have enough time to meet the regulations set by the country. Before the vehicle can be secured to a freight ship and shipped over to Kuwait, one must provide all required proof to Customs to get an approval certificate. To make sure that your vehicle meets the criteria and that you have all the right documentation, contact the Embassy of the State of Kuwait . The embassy will tell you of all the requirements held by the current auto import policy. In order to get approval from the country for your vehicle, there is a lot to be prepared. It is very important that you stay organized during the shipping process before and during. The auto transport company will help you with all that is entailed. You must also be there to get the vehicle when it arrives at the port in Kuwait. They will not allow the vehicle to sit at the port. Call us at 1-800-450-5319 or fill out the form for auto transport details and a FREE quote!